Get 10X the Miles! And New Flyer! Drop by today and get 10X the Miles! 3 Days Only: Thursday, June 1 to Saturday, June 3. 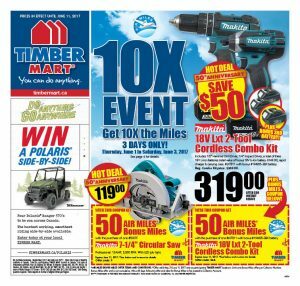 Check out this week’s flyer for great deals on decking, siding, paint, and more! Click here to view now. Prices in effect until June 11.